Aurora Roof Replacement – Contact The Experts! Aurora Commercial Roofing by Design has been proven to be the best experts in the entire Aurora, Colorado area for the residential roof replacement. We offer the best services to our clients that have been proven to meet the required quality standards at the best price range. We have been in the field for a longer period of almost 20 years. Our clients stick to our services when looking for residential roof replacement simply because we care about their needs. In case your roof is deformed because of hail damage emanating from stormy weather or you need just any other repair or total roof replacement, you should not hesitate to call us so as to get a free roof evaluation and quote. We keep records of the quote so that in case you need it in future, you can always access it from our site. There are many factors you should consider when looking for a roofing contractor. It is advisable to take time and know all the aspects that are associated with roofing replacement. When you take more time to research about such contractors, you will stand a higher chance of choosing a professional and experienced Aurora Commercial Roofing by Design to take care of your roof replacement. First, you should check the reputation of the company you choose and the contractor. Take time to go through the stability of their services and the consistency of their workmanship. Choose a roofing contractor with a good reputation and be assured of the best services and protection of your roofing investment. Besides, it is advisable to choose a roofing company where you trust their services and you are comfortable with them. As per the Wall Street Journal, there were more than one million clients who were complaining and filing lawsuits against the roofing contractors last year. This is due to wrong choice of contractors. Before selecting any company, you should ensure that you will not be part of the clients who are going to file lawsuits against the contractor. 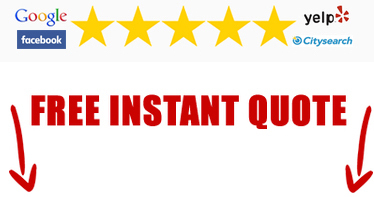 You can read the testimonials of others or ask us to give you list of trusted contractors. It is important to ensure that the roofing contractor you choose has general liability insurance for residential and commercial projects. It is advisable that you should choose one within the range of $500,000 to $1,000,000 insurance cover. The coverage should not just be for the company but you should also be covered. It is a fact that there are some companies that ignore their clients. Before you stick to a given company, you should ensure that the contract includes an arbitration statement within the agreed contract. In case of any complain, arbitration ensures that the roofer settle the disputes through the binding arbitration. Without such an agreement, you may spend more money for your roof replacement. Ideally, all the payments should be made after the job is done but there are some instances where the roofing contractor asks for money before starting the repair. First is when special order non-returnable roofing material is ordered. This way, the contractor does not suffer in case you decide not to replace your roof or not to finish the project after starting it. 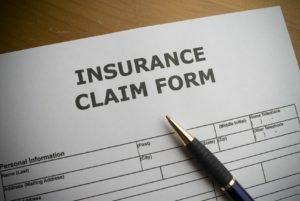 Another reason is when the insurance is when your credit is questionable and the insurance is not covering the roof repair. Under an ideal situation, the payments should not be asked before work starts and on the other hand, the roofing company should not accept the payments. The clients should be careful as there are many frauds and scams in the market therefore when giving out money; you have to fully understand the history of the contractor. Residential Roof Replacement Done Right! 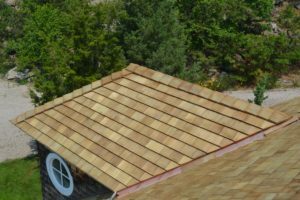 Those are some of the factors to guide you choose a reputable roofing company in Aurora to do your roof replacement. We at Aurora Commercial Roofing by Design are here to assist you get the best roofing repair and replacements done by the best contractors. You can call us at any time to get an evaluation and quote for your residential roof replacement.